These polished stainless steel wheel trims are to fit 8 stud wheels. these are only available in a 275mm PCD measurement. 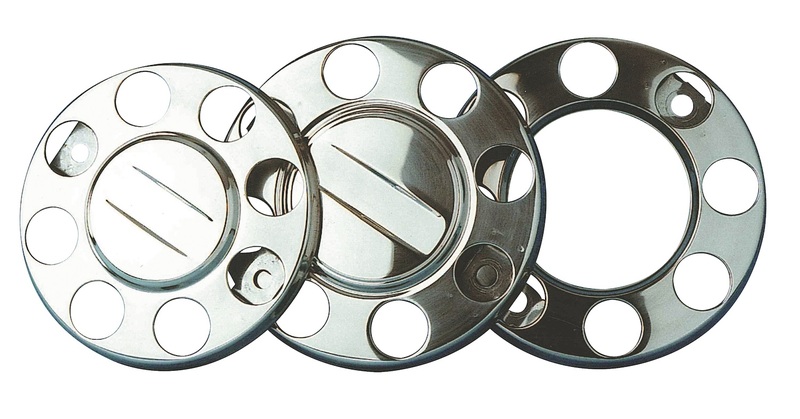 These polished stainless steel wheel trims are to fit 8 stud wheels. A good quality wheel trim with an open centre (commonly known as a step ring). these are only available in a 275mm PCD measurement. Sold in pairs (one axle set).